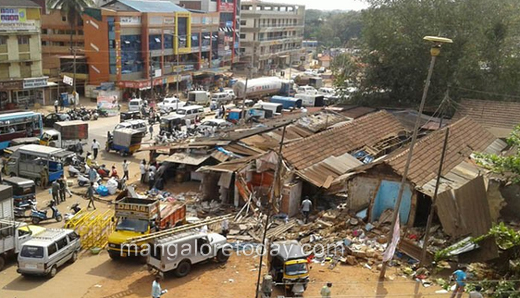 Mangaluru, Mar 22, 2018: The Mangaluru City Corporation in a sudden move has evicted over 10 shops near the Suratkal Junction by bulldozing the buildings on March 22, Thursday. 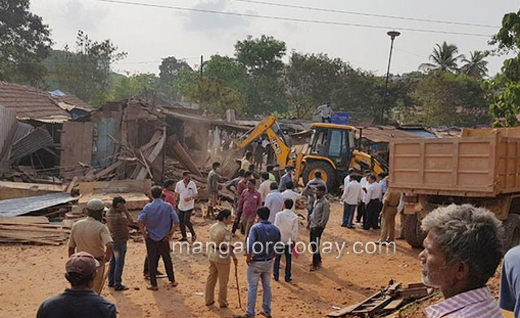 Two JCBs were used during the eviction drive which has caused resentment among several people. Many were even heard complaining that the shopkeepers were not intimated in advance. 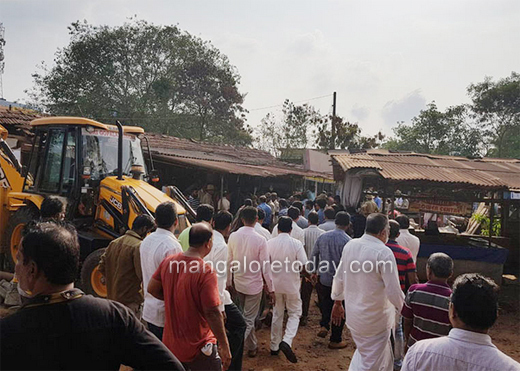 A few others were heard saying they had received notices saying the operation would be held on Thursday evening, but expressed their displeasure over the MCC launching the operation in the morning itself.